Anyone else see something like the image? I’ve logged into my app and can’t see any Visual Elements. I’ve refreshed the tab and tried a different internet connection but it still doesn’t show any elements such as Text, Icons or anything. Anyone else seen this? Mine still show. Check to see you don’t have anything in the search right above where it says Visual Elements. Yo, that does look buggy. Is it persisting? Does it happen across all apps? Does it happen when you load a new page? 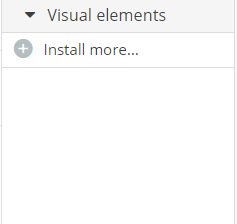 When happens if you try to install another visual element… does that kick your GUI into compliance? I admit, that is disconcerting. Thanks @ashley.benson.tait and @J805 for your replies. I’ve tried another app and the normal visual elements show, so it looks like the problem is isolated to this particular app. 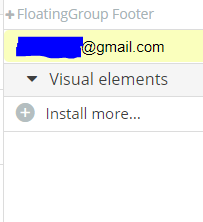 I’ve uploaded a screenshot showing again that there are no visual elements and for some reason there’s now a box with my email address in it - no idea what’s going on. I can still use the editor as usual otherwise (create and edit workflows and elements, and copy and paste them, but can’t create new ones). 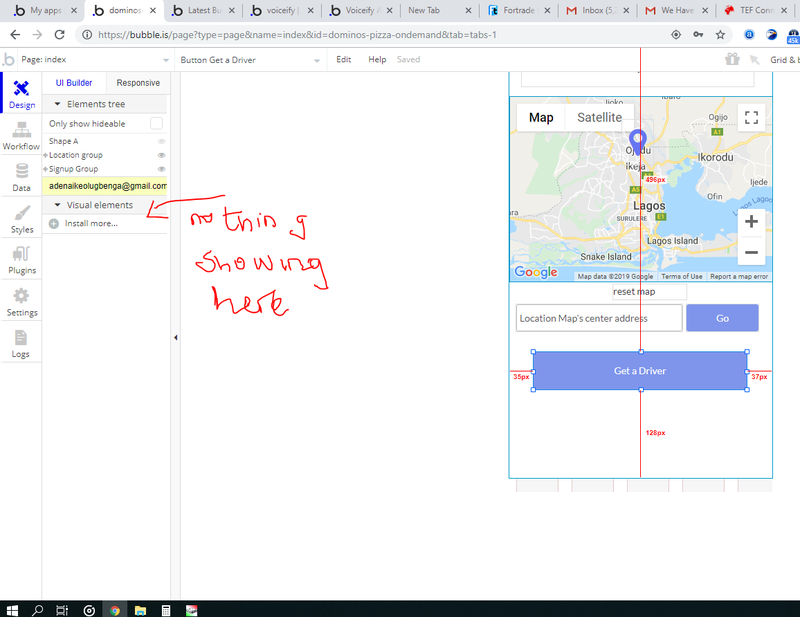 I tried to copy my app and it showed the same behaviour - showed the visual elements at first then as soon as I click on one, they all disappear. That box is a search box. Your browser’s autocomplete has decided it’d like to put your email in there. If you remove that, it should show all your options again. Ya. It is just as I suspected. Those weird autocomplete things seem to be getting in the way a lot. Check the link I sent you above and you can see the other user had the same exact problem. Just delete your email and VOILA! @andrew_bpco and @J805, you are both absolute heroes! Thank you both so much! I don’t know why I didn’t even try that (and I’ve been on the platform for a few years now!!). Back to usual - thanks so much both of you!! !